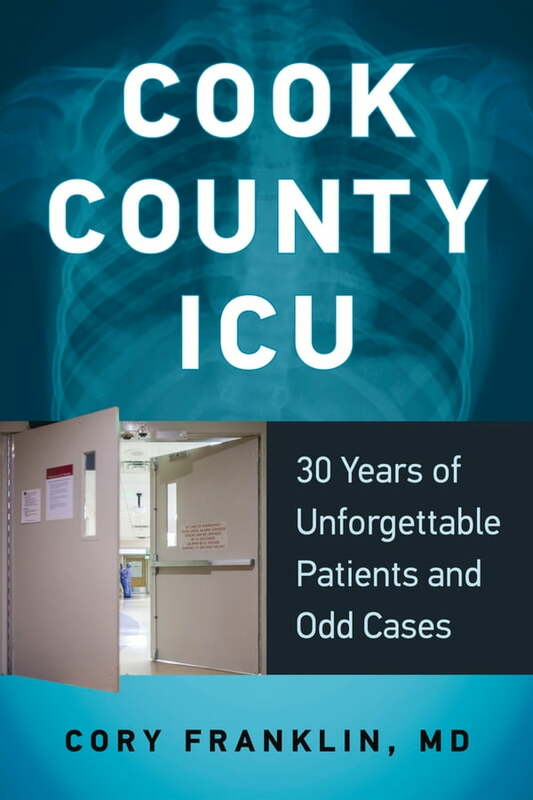 Filled with stories of strange medical cases and unforgettable patients culled from a 30-year career in medicine, Cook County ICU offers readers a peek into the inner workings of a hospital. Author Dr. Cory Franklin, who headed the hospital’s intensive care unit from the 1970s through the 1990s, shares his most unique and bizarre experiences, including the deadly Chicago heatwave of 1995, treating the first AIDS patients in the country before the disease was diagnosed, the nurse with rare Muchausen syndrome, the only surviving ricin victim, and the professor with Alzheimer’s hiding the effects of the wrong medication. Surprising, darkly humorous, heartwarming, and sometimes tragic, these stories provide a big-picture look at how the practice of medicine has changed over the years, making it an enjoyable read for patients, doctors, and anyone with an interest in medicine.